In line with the promise to liberate every terrorists infested part of the country, troops have earlier today driven out Boko Haram elements from Gwoza, the supposed headquarters of their ill-fated Caliphate. Defence Spokesperson, Major General Chris Olukolade will address the press on the development today. Stomach infrastructure, a new vocabulary quietly crept into our political dictionary in this dispensation. The vocabulary crept into Nigeria’s political lexicon after the Ekiti governorship election when voters were given gifts of bags of rice and other foodstuffs to vote in certain directions. Distributing foodstuff during campaigns in Nigeria did not start with the Ekiti election. It has been happening in many parts of the country but it was heightened during the Ekiti election. The two leading candidates for the Presidential election scheduled for tomorrow, President Goodluck Jonathan of the Peoples Democratic Party, PDP, and Maj-Gen. Muhammadu Buhari (retd) of the All Progressives Congress, APC, yesterday signed another peace accord, 48 hours to the election, where they affirmed their preparedness to accept the outcome of free, fair and credible elections. Dana Air has further reinforced its management team by appointing Mr. Obi Mbanuzuo as Accountable Manager. In his new role as the Accountable Manager, Mr. Mbanuzuo has overall corporate authority of ensuring that all operations and maintenance activities are carried out in line with globally accepted standards as set by the civil aviation authority. Announcing the appointment in Lagos, the Chief Executive Officer, Mr. Jacky Hathiramani said Obi has over the years demonstrated professionalism in the discharge of his duties and the airline is confident that he will bring his wealth of experience to bear. Long known as one of the world’s most exclusive ultra-luxury resorts, the iconic One&Only Palmilla resort will re-open on 20 April 2015. One&Only Palmilla will welcome guests back to a resort that is better than ever with a number of new elements including the new steakhouse, SEARED by Jean-Georges Vongerichten, completely refurbished guest rooms and suites, new adult outdoor lounging areas and a new One&Only Spa and Fitness Centre. Past guests of the resort will find what they have come to love about it, but will also discover some new experiences. Most importantly, One&Only Palmilla will continue to deliver the incredible warm and genuine service that guests love. MEMBERS of the Niger Delta People Salvation Front, NDPSF, volunteers, led by their leader, Alhaji Mujahid Dokubo-Asari, marched the streets of Warri, Delta State, causing unprecedented traffic in a show of strong solidarity and support for President Goodluck Ebele Jonathan’s re election. The road walk saw thousands of youths reaffirming and expressing their determination to vote for Dr Jonathan. Speaking... at the rally, Alhaji Dokubo- Asari stated that it shall be gun for gun, bullet for bullet, bomb for bomb should Buhari attempt to cause chaos after losing the election. Armed attackers have opened fire on the convoy of Governor Chibuike Amaechi of Rivers State in Port Harcourt, the state capital. At least two people were injured in the attack which occurred Thursday evening, a witness said. The Police spokesperson for Rivers State, Muhammad Ahmad, could not be immediately reached. He did not answer or return calls. The governor’s spokesperson, David Iyofor, said “thugs” shot at the governor in Rumuolumeni, Obio Akpor, area of Port Harcourt. Obio Akpor is the home of the Peoples Democratic Party, PDP, governorship candidate, Nyesom Wike. Mr. Wike is locked in a long-drawn feud with the governor over the choice of Mr. Amaechi’s successor. The Independent National Electoral Commission (INEC) says it has taken delivery of sensitive materials for Saturday’s presidential and National Assembly elections. Speaking to newsmen in Awka, Resident Electoral Commissioner (REC) Mr. Edwin Nwatarali, said the materials which were received from the Central Bank of Nigeria (CBN)Awka, were ballot papers and result sheets, for the Presidential/National Assembly and State House of Assembly elections in Anambra state. He added that card readers for the election had been received earlier and were charged in readiness for the exercise, assured that the commission is ready to conduct free, fair and transparent election in the coming elections. He called on Anambraians to adhere strictly to the principles electioneering and conduct themselves in civil manners to the merit of all. The Anambra state Commissioner of police , Mr Hassan Hosea Karma has paraded 20 suspected kidnappers and armed robbers suspected to be terrorizing the state and its environ for a couple of months now. Special Anti Robbery Squad (SARS) Awkwuzu, note with strong equivocation on the resolve of the state government to rid the state off criminal activities and ensure safety of lives and properties of the citizenry. The Economic and Financial Crimes Commission on Monday said a former Governor of the Central Bank of Nigeria, Charles Chukwuma, has no case to answer regarding investigations into allegations of bribery involving Securency Pty Ltd of Australia and officials of both the CBN and the Nigerian Security Printing and Minting (NSPM) Plc over the supply of polymer substrate to Nigeria. Former Central Bank Governor, Charles Soludo Speaking at a press conference in Abuja, EFCC Chairman, Ibrahim Lamorde, said after extensive investigation, the commission found that Mr. Soludo had nothing to do with the matter. Justice Adeniyi Ademola Wednesday morning put paid to speculations that the All Progressives Congress, APC, presidential candidate, Gen. Muhammadu Buhari might be disqualified from participating in Saturday’s election when he adjourned hearing in the 10 separate suits seeking to bar the APC candidate till April 22 and 23, about a month after the presidential election. Justice Adeniyi however dismissed the applications filed by two human right activists, Mr. Chukwuma Ochu who is a member of the APC in Rivers State, and Mr. Ebun-Olu Adegboruwa from Lagos state seeking to be joined as defendants in the suit. 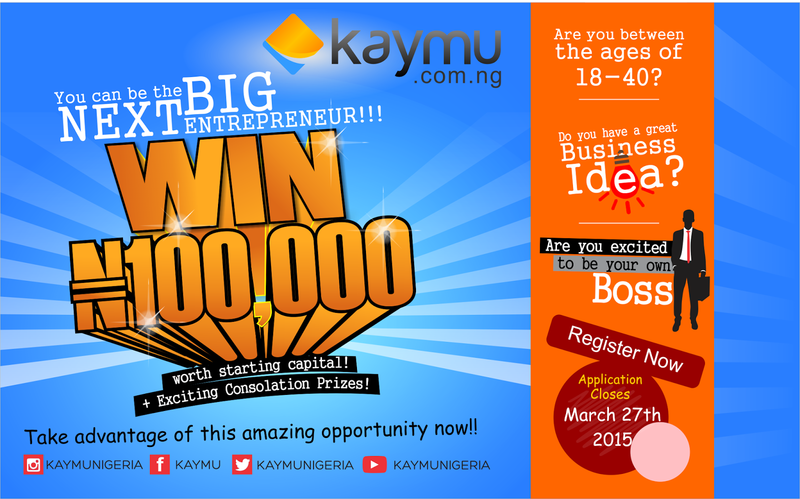 To tackle the challenges faced by budding SMEs in Nigeria, leading online community, Kaymu has launched the Next Big Entrepreneur campaign to teach entrepreneurs about the online business and give them an opportunity to win startup capital. Kaymu’s Next Big Entrepreneur is an initiative spearheaded by Evangeline Wiles, the Managing Director of Kaymu to harness entrepreneurship amongst youths. An Airbus A 320 jet operated by low cost airline, Germanwings, has crashed in Southern France according to Reuters. The plane had 142 passengers and 6 crew members on board. The plane was traveling between Barcelona to Düsseldorf when it crashed in the Alps in the Digne region according to aviation officials in France. Inkosi Albert Luthuli International Convention Centre, Durban, South Africa – Venue of Indaba 2015. With fewer than 60 days to go, buyers and exhibitors are gearing up for INDABA 2015. Key to these success factors is the INDABA 2015 Online Diary and Matchmaking System. This service is already giving buyers and exhibitors (INDABA delegates) a platform to plan their INDABA meetings and extract optimal business value from the tradeshow. Thanks to these tools, buyers and exhibitors can view and select companies they would like to meet, and confirm their meetings before INDABA kicks off on 9 May 2015. Former President, Chief Olusegun Obasanjo, Tuesday, disclosed that he has uncovered another plot by the Presidency to handover to the Nigerian military if it loses the coming Presidential election. Obasanjo said this alleged plot would undermine the integrity of Nigeria among the comity of nations. The former President stated this yesterday while playing host to the South West women of the All Progressives Congress led by the wife of the party’s presidential candidate, General Muhammadu Buhari, Hajia Aisha Buhari. Heroes’ Children’s Park, opposite Concorde Hotel, collapsed. The incident, which happened when the governor stopped over on his way to the NUJ Governorship Debate to interact with some students of Development Comprehensive Secondary School, Owerri, who were around the park when he came, caused unwavering disillusionment in the site of residents present to witness the unfortunate incident..
"If it is true, as it is being widely speculated across the country, that the Jonathan Administration has procured a judgement to disqualify the APC Presidential Candida...te on Wednesday, when the Federal High Court in Abuja is expected to rule on the issue, then it portends a great danger for our country,'' the party warned in a statement issued in Abuja on Tuesday by its National Publicity Secretary, Alhaji Lai Mohammed. Relatives, friends and teachers of Sarah Ibikunke, the 15-year-old basic three pupil, who was shot dead by a gang of robbers in the Lekki Phase 1, Lagos State, gathered on Monday to give her their last respect. Sympathisers spoke glowingly about the teenager, who had longed to become a lawyer, as she was laid to rest at the Ikoyi Cemetery. The bandits, said to be in military uniforms, had on March 12 laid siege to a branch of First Monument Bank Limited on Admiralty Way, firing guns indiscriminately. In the process, three cops among a police team escorting a bus belonging to an oil company were killed, while Sarah, who was hawking fish around the area, was hit by stray bullets. PUNCH Metro had also reported that the management of a mortuary in Yaba, where the girl’s corpse was deposited, requested a sum of N100,000 for the embalm and burial arrangements of the victim. However, the management rescinded its decision on Monday and released the remains for burial at the cemetery without collecting any fee. As Nigerians brace up for what promises to be the nation’s most intriguing elections in recent times, the fate of the Presidential candidate of the All Progressives Congress (APC), General Muhammadu Buhari is hanging in the balance as the Federal High Court presided over by Justice Mohammed I Abubakar began hearing yesterday of a suit filed by the All Progressives Grand Alliance (APGA) and Senator Alphonsus Igbeke seeking the disqualification of General Buhari for breaching relevant provisions of the Constitution of the Federal Republic of Nigeria and the Electoral Act 2010 by seeking to contest election on the platform of the All Progressives Congress Party (APCP) which the plaintiffs contend is not an existing political party in Nigeria today. President Barak Obama of the United States on Monday urged Nigerians to vote peacefully in Saturday’s election, and to accept whoever wins. In a video message from the White House, the American leader congratulated Nigerians on what they have achieved so far, and advised that they have an opportunity in the election to write the next chapter by voting. How I ended up at Aso Rock is a gist for another day. For now, however, may I just tell you that I was an invited guest -- waiting in the north-by-northwest corner of the refurbished media room when the press conference was taking place. I listened to the President as he made promises. For instance, he promised to end corruption in the oil sector by 2019. He promised to create 25 new federating states and build 15 new universities. 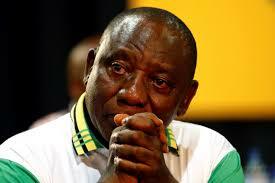 He promised to build new prisons for petty criminals. The wife of the All Progressives Congress Presidential Candidate, Aisha Buhari, has condemned the repeated bashing of the North by the wife of President Goodluck Jonathan. Patience Jonathan allegedly described the region as an enclave of beggars and unwanted children. Mrs. Buhari said the description coming from someone who ironically campaigns for votes in that region is an indication of a hidden agenda, adding that the people of the North should, therefore, reject the Peoples Democratic Party and its presidential candidate. Mrs. Buhari promised Kano women that her husband and the APC will be faithful to their electoral promises, and also will initiate programmes that will make women self-reliant. “With General Buhari in power, the spate of kidnapping and reckless assassination of innocent people will be history in Nigeria. With General Buhari in power, the nation’s depressing economy will be rebounded in line with the expectation of the citizens and world best practices,” she said. Mrs. Buhari said she was in Kano to canvass the support of women knowing their role as important pillars in winning election the world over, saying it would be a disaster for any politician to ignore the vital role of women. The Peoples Democratic Party (PDP) 2015 governorship candidate in Lagos State, Mr. Jimi Agbaje, has described the campaign of the ruling All Progressives Congress (APC) as having lost steam. Agbaje spoke at an interactive dinner held in his honour in Lagos. “The other party has had to change their team. One does not change a winning team, except when in trouble,” according to Agbaje. He reiterated earlier statements that he was determined to change the face of governance in Lagos. “I believe I can make a significant difference in making Lagos more competitive. “We are 20 million Lagosians, by 2035 we will be about 30-35 million; we cannot be a megacity just on the basis of population. “I think we can do it better. I acknowledge work has been done, but there is the need to move forward and make significant difference. We have a government that has been there for 16 years, and pushing them out will not be child’s play, but, we are winning. Rivers State Deputy Governor, Mr Tele Ikuru, has said he was deceived by his boss, Governor Chibuike Amaechi, to join the All Progressives Congress (APC) and called on the people of the state to fight the APC which he described as an evil at the gate. This came as the state chairman of the Peoples Democratic Party (PDP), Mr. Felix Obuah, boasted that about 16 members of the 32-member state House of Assembly and about 21 commissioners had abandoned Amaechi. The duo spoke on Monday in Port Harcourt at a reception to formally receive the deputy governor into the PDP following his defection from APC on Sunday. Ikuru said the content of the address announcing his resignation from the APC was the truth and from the depth of his heart, stressing that it was the truth, with no iota of pretence. He added that he felt relieved with his defection as he has freed his conscience. Imagine Owerri heartland metropolis, agog with crowd numbering in their hundred of thousands, defied the scotch sunshine, where roads, streets and market were shot down all on hands to receive the APC presidential flag bearer, General Mohammed Buhari and his presidential campaign team. The reception was held at Heartland Stadium Owerri. Former President General of Ohanaeze Ndigbo, Dr Dozie Ikedife has called for a toll-free 2nd Niger bridge as against what is been speculated now. The erstwhile Igbo socio-cultural chief scribe lamented that Igbo are being pushed to the wall again by the policies of successive governments politicks in the country. He said his last wish would be to see a President of Nigeria coming from the Igbo extractions which he assured would be realized under General Mohammed Buhari. The first Lady and wife to President Goodluck Jonathan, Dame Patience Jonathan, on Monday 23 March 2015 at a crowded People Democratic Party, (PDP) women rally held at Dennis Memorial Grammar School, DMGS, Onitsha, Anambra State described All Progressive Congress, APC, as Ebola that will die immediately after the conduct of the Presidential election. In her words, 'APC is Ebola and will on 28 March die after the Presidential election and will not resurrect again,' She maintained. 'APC has nothing to offer Nigerians except propaganda, we are not here for propaganda, APC talks and forgets, President Jonathan does not talk like that. Jonathan made us to forget the civil war, Jonathan is our messiah, PDP has come to stay,' she revealed. Chadian and Nigerien troops fighting Boko Haram insurgency in the North-East are reportedly begging their Nigerian counterparts to take over towns recaptured from the sect. Nigerian authorities had announced that troops had recaptured all towns occupied by members of the terrorist group in Adamawa and Yobe states, remaining Borno, the last of the three north-eastern states mostly affected by the insurgency. A report by The New York Times on Friday, entitled ‘Foreign troops beg Nigerian soldiers to occupy recaptured towns,’ said foreign troops had led journalists on a tour of the liberated towns without Nigerian troops on the ground. The Catholic Diocese of Enugu, which oversees the Rev. Fr. Ejike Mbaka-led Adoration Ministry, has said it will meet with the cleric today to investigate his claim that President Goodluck Jonathan and his wife, Patience, want him dead. This is as the Catholic Secretariat of Nigeria on Saturday said Rev. Fr. Mbaka, had yet to report to the said allegations to it. Mbaka, who has repeatedly stated his opposition to the President’s re-election, had alleged during a sermon he delivered in his church, as seen in a recent video uploaded on YouTube last Sunday that President Jonathan and his wife want to kill him. The All Progressives Congress on Saturday raised the alarm that the Federal Government and the Peoples Democratic Party have sent a red alert to the Economic and Financial Crimes Commission to arrest one of its national leaders, Bola Tinubu. The party alleged that President Goodluck Jonathan’s administration was bent on decimating the major opposition party in order to gain what it called an undue advantage in the March 28 and April 11 general elections. What have you been doing ever since you left the forefront of Nigerian politics? I have been facing my private business since I left the House of Representatives and I am also involved in politics. Politics is something that I cannot really bid farewell. Therefore, I am still in politics. The Peoples D e m o c r a t i c Party Presiden¬tial Campaign Organisation (PDP¬PCO) has dismissed as needless the assur¬ance of wife of the All Progressives Congress (APC) presidential can¬didate, Aisha Buhari, to the First Lady, Dame Patience Jonathan that she (First Lady) would not be sent to jail if her husband, General Mu¬hammadu Buhari, wins the coming presiden¬tial election. Director of Media and Publicity of the PDPPCO, Chief Femi Fani-Kayode, in a statement issued yes-terday in Abuja in response to Aisha Buhari’s attack on the First Lady in Benin, said the entire PDP presi¬dential campaign did not appreciate her counsel be¬cause the First Lady had not committed any offence. President Goodluck Jonathan on Friday said although he was ready and willing to continue to serve as the President of the country, he was not desperate to continue in office. He said, that was the reason he had remained unruffled despite the various things that had been said or written about him. Jonathan spoke at the public launch of a book, “The People’s Choice: The story of President Goodluck Jonathan,” written by Rev. Fr. CharlesImokhai. Over N175m was donated by individuals and groups at the old Banquet Hall of the Presidential Villa, Abuja venue of the launch of the four-part book which chronicles the life of the President including his educational background, political career and family among others. Jonathan advised politicians who are interested in occupying any elective position either at state or federal level not to be desperate. Ikuru declared his defection on Sunday, six days to the general elections. President Goodluck Ebele Jonathan today in Kano, the capital of Kano State, commissioned a recently constructed flyover paid for by the Federal Government. The flyover is located near Aminu Kano Teaching Hospital on Zaria Road in the Kano metropolis. There was a political undertone to the event as Governor Rabi’u Musa Kwankwaso, who belongs to the opposition All Progressives Congress (APC), recently brought his party’s presidential candidate, Muhammadu Buhari, and former President Olusegun Obasanjo, a recent critic of Mr. Jonathan’s, to commission flyovers built by the state government. Speaking at the commissioning, Mr. Jonathan, who is the presidential candidate of the Peoples Democratic Party (PDP), described Kano as a strategic commercial center. He said the flyover would help the state in the trans-Saharan trade. “Kano is important to us and we will not forget the state in our developmental projects,” Mr. Jonathan promised. The Nigeria Election Debate Group, NEDG, has organised presidential and vice presidential debates since 1999, but fresh claims have emerged questioning the independence and partisan nature of the group. The debates, the final lap of the series of debates organised by the NEDG, is holding on March 22, according to the organisers. But there have been allegations that the group is actually a one-man show run by Raymond Dokpesi, the Chairman of DAAR Communications Limited (owners of Africa Independent Television, AIT), who uses it as a bargaining tool for private gains and political advantage. With days to the 2015 presidential poll, Kevin, Charlyn and Kimberly Associates, a United Kingdom (UK)-based research and political risk consultancy firm has projected that incumbent President Goodluck Jonathan of the People’s Democratic Party (PDP) will win the March 28 poll with a margin of 13 percent probability ratings. 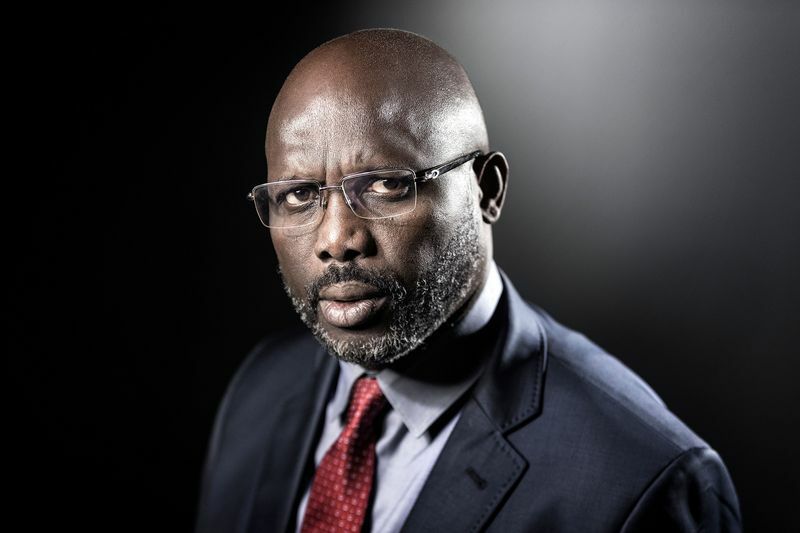 A statement issued by its Vice President (VP) for Africa and Middle East, Mr. OC. Vince which was made available to journalists in Abuja on Friday, said it used both the ‘monkey survey’ and ‘political risk index’ to forecast the Nigerian election which culminated in projecting a Jonathan’s win. He however explained that the firm had no partisan interest in the outcome of the nationwide survey, adding that the election would be left for Nigerians to decide. Apparently bu oyed up by his political manoeuvrings which had led to a major division between some Yoruba leaders and other stakeholders, President Goodluck Jonathan who is also the presidential candidate of the Peoples Democratic Party, PDP, has now moved to the north with the aim of whittling down opposition from some core northerners to his re-election on March 28. The South West geopolitical zone which had earlier appeared impregnable was split weekend over whether to vote for Jonathan or the presidential candidate of the main opposition All Progressives Congress, APC, Major General Muhammadu Buhari, rtd, in the March 28 presidential polls after the seeming siege the President laid in the South West. . Divided into two groups, the leaders held parallel summits in Ibadan and Lagos Thursday and took divergent positions on what the Yoruba should do in forthcoming elections. While those at the Ibadan gathering were mostly for Buhari, the Lagos group rooted for Jonathan. In the same vein, Jonathan has begun to woo some of his die-hard critics and other stakeholders from the north in the last couple of days. The Olubadan of Ibadan, Oba Samuel Odulana, has denied media reports that he endorsed the presidential candidate of the All Progressives Congress (APC), Major General Muhammadu Buhari. But in a rebuttal contained in a press release signed by his personal assistant, Chief Isiaka Akinpelu and made available to newsmen on Friday, Oba Odulana described the reported endorsement as “false and misleading” outright. NIGERIA has never been this on the edge, the way it was in 1993. Never has the country been so politically divided along ethnic and religious lines. How did we get to this frightening state? Following the overthrow of the Shehu Shagari government in 1983 by General Muhamadu Buhari, we had ten long years of military rule before the annulled June 12 election. The build-up to that election, contested by two popular national political parties, the NRC and SDP, saw three Northern candidates- General Shehu Musa Yar’Adua, Mallam Adamu Ciroma, and Alhaji Umaru Shinkafi, among others, summarily disqualified and taken into detention. The All Progressives Congress Presidential Campaign Organisation has threatened to sue President Goodluck Jonathan campaign spokesperson, Femi Fani-Kayode, for claiming that the APC presidential candidate, Muhammadu Buhari, is getting funding for his election campaign from terrorist groups, such as the outlawed Boko Haram, Al-Qaeda and ISIS. In a statement released in Abuja on Saturday, the organisation accused Mr. Fani-Kayode of perpetuating religious politics, and gave him one week to retract his defamatory comments or face the law. ABUJA- AHEAD of the Presidential and general elections slated for March 28 and April 11 respectively, Peoples Democratic Party, PDP Presidential Campaign Organisation, PDPPCO yesterday alleged that the All Progressives Congress, APC set up its own radio station called Radio APC or Radio Chanji to use it as a vehicle to announce false results after the Presidential polls. The PDP also challenged the APC Presidential Candidate, General Muhammadu Buhari, retd to apologise to the people of the South West rather than go to them for votes because of how he humiliated the late Chief Obafemi Awolowo by raiding and ransacking his home. Addressing Journalists in Abuja yesterday, Director, Media and Publicity of PDPPCO, Chief Femi Fani- Kayode reiterated the call for the arrest of the Presidential candidate of the All Progressives Congress, APC, General Muhammadu Buhari, retd and the National leader of the opposition party, Asiwaju Bola Tinubu over the existence of what he described as an illegal radio station called “APC Radio or ” Radio Chanji”. In what appears to be a tactical move to ditch President Goodluck Jonathan, two members of the Peoples Democratic Party (PDP) Board of Trustees, former Governor of Akwa Ibom State, Victor Attah and Don Etiebet have declared for the opposition All Progressives Congress (APC) in Akwa Ibom State. The duo made the switch during a rally held by the Campaign Organisation of the APC governorship candidate, Umana Okon Umana held at the Ibibio Park Grounds in Uyo, on Saturday. At the APC rally, Attah and Etiebet respectively, raised the hands of Umana, stating that they were no longer interested in the PDP as they had found an alternative in the opposition party. Presidential candidate of the All Progressives Congress (APC), General Muhammadu Buhari (retd), on Saturday, reaffirmed his administration’s commitment to tackle corruption headlong, if elected in next Saturday’s election, saying nobody would be allowed to steal or be frivolous with money, no matter how highly placed in the society. He made this known in Lafia, the Nasarawa State capital, during the grand finale of the rally organised by the North-Central zone of the party. General Buhari, who lampooned the ruling Peoples Democratic Party (PDP), particularly on its oil and aviation sectors, said that the administration of President Goodluck Jonathan was using the two sectors, like others, to siphon public funds.